Platelet Rich Plasma (PRP) Therapy in Tijuana – Mexico is an affordable alternative treatment to deal with a number of orthopedic problems. The PRP therapy makes use of our body’s natural ability to heal by regeneration of tissues and speeding up the process of repairing the damage. 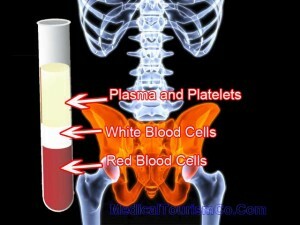 PRP treatment involves extraction of the patient’s blood. This extracted blood is then spun around in a centrifuge so that platelets rich in protein with healing power get separated. The separated plasma is then injected into the tissue requiring healing. Past lab studies show that greater quantities of PRP growth proteins pace up the process of repairing the sites of injury. PRP may also be used to heal sites that have been surgically treated. This is achieved by stitching PRP into the affected tissues. The procedure usually takes a couple of hours to complete. Some patients may experience mild swelling or stiffness which usually subsides a few hours after the PRP therapy. While blood is primarily a liquid, it also contains solid components such as the red blood cells, white blood cells and platelets. Platelets play a pivotal role in clotting of blood. They also contain proteins known as growth factors which are indispensable for mending injuries. PRP is primarily plasma with higher concentrations of platelets than in blood. In fact, platelet enriched plasma is five to 10 times richer in growth factors than normal blood. Chronic Pain in the Lower Back: Platelet-rich Plasma (PRP) Therapy for chronic back pain involves application of a local anesthetic to numb the site for injecting plasma. PRP is injected into and around the damaged tissues in the back using a needle. Spinal Stenosis: PRP therapy may also be used to treat spinal stenosis – a condition which abnormally decreases spaces in the spine which puts pressure on the chord as well as the peripheral nerves. Rotator Cuff Tear: PRP injection is known to treat rotator cuff tears effectively. Here is a research study on the efficacy of PRP therapy for rotator cuff tendinopathy. Arthritis of the Knee: PRP injections are known to heal damaged cartilage and hence help get relief from knee osteoarthritis. This has the potential to delay the requirement of a knee replacement. Achilles Tendinosis: Swelling and pain in the Achilles tendon caused by its degeneration and inflammation can also be taken care of by PRP therapy. This is achieved by the healing process initiated by interaction between the growth factors and collagen. Besides the above mentioned, PRP therapy is also effectively used to treat acute sports injuries including muscle and ligament injuries. Why Tijuana for PRP Plasma Injections? 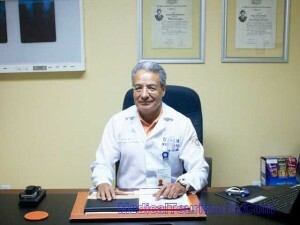 PRP treatment in Tijuana – Mexico is performed by a leading orthopedic surgeon with more than thirty years of experience. He is an international affiliate member of the American Academy of Orthopaedic Surgeons (AAOS) and has thousands of satisfied patients. Contact us for more information on PRP Platelet Rich Plasma Therapy in Mexico through the quote-form on the right.